As a FBA (Fulfillment by Amazon) seller on Amazon, we are bound by the Amazon return rules as they are the ones sending out the product; we don’t handle shipping or returns for any of our products sold on Amazon. I hope that clarifies things for you and as always, we so appreciate your business. 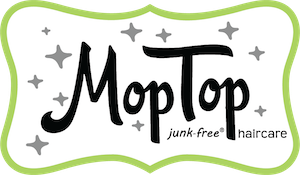 Stop by our website and sign up for our newsletter to keep you up to date on new products, videos and tips at https://moptophair.com/about/newsletter-signup/.